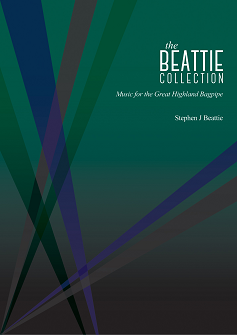 To find out how to order The Beattie Collection of Highland Bagpipe Music please choose 'Purchase The Beattie Collection' in the enquiry box below. The Black Watch Association Pipe Band is based in Newcastle-Under-Lyme, Staffordshire and in addition to serving the North Midlands including Stoke-on-Trent and South Cheshire, the band travels further afield as the need arises. We play at Carnivals, Fetes, Weddings and Funerals, as well as many other special functions, including many Black Watch Association events. We also play for local parades. If you would like us to play for you at your event then please feel free to contact us. Our Pipe Band is a great place to enjoy Bagpipes and Drums, so if you are an experienced player and would like to join our band or maybe you would just like the opportunity to learn then, in either case, please get in touch with us here. To see pictures of our pipe band, please take a look at our gallery. The band is currently looking to grow both its pipe and drum sections so anyone who feels they could help in this area would be most welcome. Originally founded in 1968 mainly from ex-servicemen of the 1st and 6th Battalions the Black Watch. We support the Black Watch Association (Stoke-on-Trent) Midlands Branch at its various functions throughout the year. If you are a member of the Black Watch Association or know someone who is, and would like to get in touch with us, please email us.